Belief, The Gym and Elvis ? 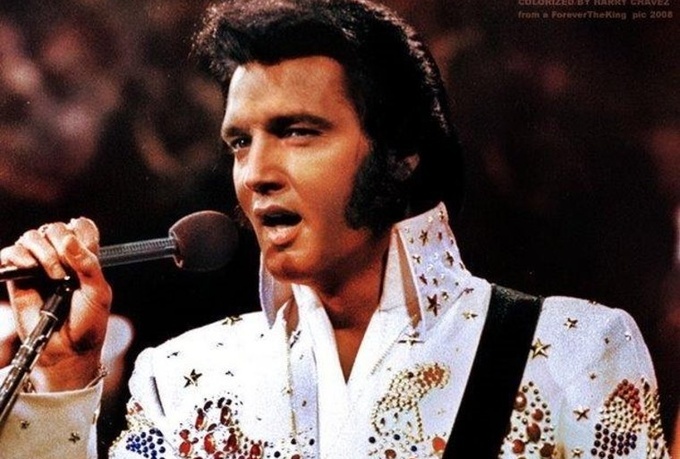 I was walking back home tonight after dinner at the Rio Cafe and as I headed up Hyndland Road a car stopped at the lights blaring out that eternal favourite of karaoke singers everywhere, I Believe sung by Mr E Presley. Go on you know you want to …. Ahhh a classic! I could just see Elvis in his white suit belting out this old showstopper. The two young guys standing next to me at the crossing were looking at me somewhat strangely when it dawned on me that, not only were the couple in the car singing at the top of their voices , but I was kinda humming along to. I gave the two boys that awkward ”I am not really a nutter and am totally sober” look but one of them just sighed at me and said ”that song reminds me of my Gran’s funeral”. Apparently his Gran was a huge Elvis fan and she genuinely believed that the King was not dead because ”he never played Glasgow”. What a thing to believe in, but the boy seemed totally genuine and there was not a giggle in his voice. Kind of got me thinking about the strength of belief that some people have. That old lady had total belief that Elvis would be back to play Glasgow, what does it take to have that ”faith”? I am not talking about religion or politics, I mean the kind of belief that makes people climb mountains, make huge changes in their lives, step out of their comfort zone or save enough money to buy a ticket to see Elvis play the SECC. Is it faith in themselves, self belief in their own abilities or perhaps a spur of the moment decision that you become to embarrassed to back down from? Did his Gran genuinely believe that the King had not left the building? I have a friend who believed that if she lost a tonne of weight, hit the gym to get that toned, tight body that the men would come flooding her way. Her faith in herself was so strong that she lost 6 stone and can now run marathons but she has no social life because that goal became an obsession and it doesn’t really work when you keep having to tell your dates, sorry I have to be up at 5.30 am to go for a run when you only arrived for dinner an hour ago. The other problem was every runner she dated was as obsessed as she was and when she found herself discussing nothing but lap times and running shoes she decided it was time to change. The last time I spoke to her she had changed her routine totally, got back some of her curves and put in place a much more balanced approach to life. She is still looking for Mr Right but in the meantime at least now she can stay out beyond her bedtime!!!! You may just have given me a wee bit of inspiration I needed … Gin or Gym has not left the building!